Mensusa https://www.mensusa.com/articles/the-white-tuxedo-jacket-with-black-lapels-never-goes-out-of-style.html Look Out For The White Blazer With Black Lapel And Matching Hats All men need to own both informal as well as formal attire. On important occasions and events like professional meetings and even wedding parties, a formal attire is the appropriate option for every man. So buy a few formal attire like white tuxedo jacket with black lapels or the Church suits for men to look decent and sophisticated always. A white tuxedo is often worn for weddings when it is called for. But nowadays, it is no longer the same as ideas and preferences have changed. Men prefer the white or light shades for ceremonies and get-togethers mostly during the summer months. But if you wear a white tuxedo jacket with black lapels even at evening parties especially prom nights you are sure to grab the attention of all around. When the fit and the cuts of your unique and alluring white tuxedo jacket with black lapels is just the best, you will not have to introduce yourself to anyone. Rather, people will come and talk to you as you will naturally become the center of attraction. The black lapels add extra style and glamor to the white tuxedo jacket that you can easily match with any color trousers and shirts and ties. 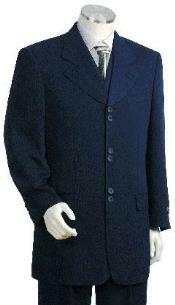 It is the best and the most sophisticated formal attire for men. Since you visit the Church regularly, you must keep a special suit for special occasions at the Church premises. The Church suits for men work the best in this case. You cannot wear the same suit for a wedding or even a funeral that you wear commonly when you go for the regular masses. At MensUSA you will find exclusively designed church suits for men that will make you look far more unique and sophisticated than what you put on otherwise. The single-breasted or the double-breasted stylish suits often come in sober colors like tan, charcoal, navy blue or black. Different types of fabrics are utilized for different weather to offer maximum comfort to the wearer. 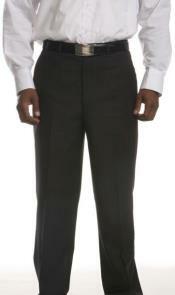 Trousers and pants are the staple accessories of a suit or tuxedo. What if you want to wear something different from the regular ones? Well, try out the slacks for men. 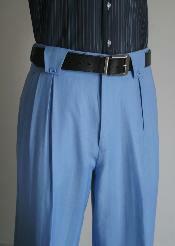 They are unique and well-fitted pants that offer a slim and stylish look. These slacks hug the body and portray your features mostly. So if you want to look outstanding and trendy, get rid of your bulges and purchase exclusive slacks for men from the renowned store MensUSA. You will get various colors and designs to choose from. Most style conscious men prefer to wear solid color suits or solid color pants that match with their shirts and other accessories. However, today men are also experimenting with their looks and so designers have offered striped dress pants with unique features and designs to create a sophisticated look. Most of the striped dress pants have pencil stripes either of the same color as the pants basic shade or fine stripes of light shades that run vertically to give the wearer a taller look. Mandarin shirts or the shirts with banded or Mandarin collar have always attracted sophisticated men who wished to look outstanding and distinct from others. The color of the mandarin shirts do not matter much. But their collars are of great importance. The uniqueness and comfortability of the mandarin shirts make it the most popular wear till today. 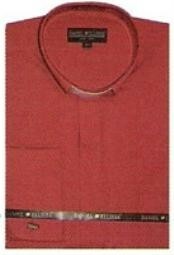 Visit MensUSA for the widest variety of Mandarin shirts.